Why are sales quotes important? It’s an opportunity for you to not only show how much your product or service costs but also the type of business you are; reliable, trustworthy etc. A business who looks at a sales quote as an opportunity to stand out from the crowd and who treat it as a sales technique will reap the benefits! We want to help your business stand out from your competitors with the all new Quick Quotes for OnePageCRM. 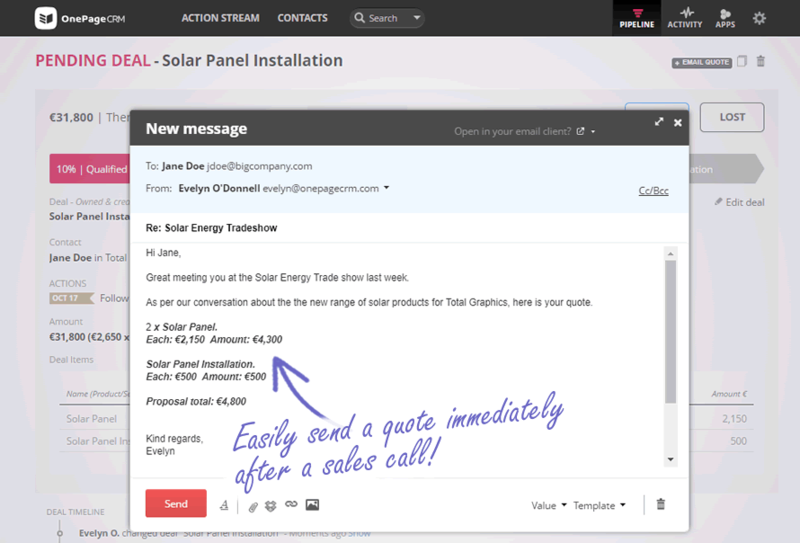 Sales reps can now create and send email based sales quotes in a flash from within OnePageCRM in just 27 seconds! Streamline your sales team with fixed pricing. Create quotes in a fraction of time. 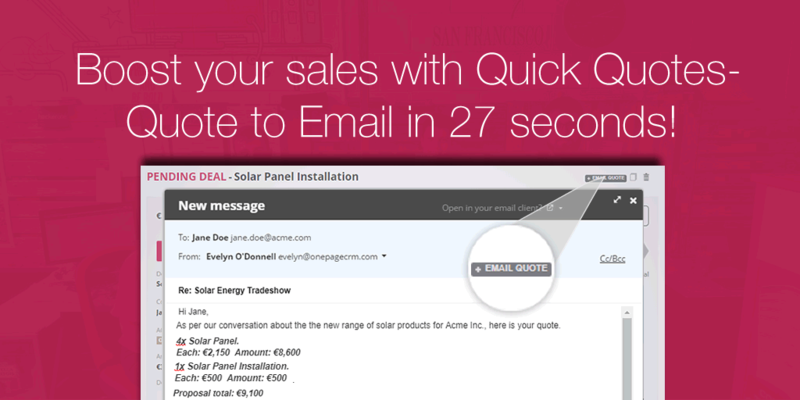 Email quotes directly to your customers in 27 seconds! Step 1: Set up your deal items and insert into your deal. Step 2: Ensure you have your primary email client selected, options include Gmail or Other (for example Outlook or Apple mail). Note: Gmail users have the option to connect their account, add a signature and create email templates. 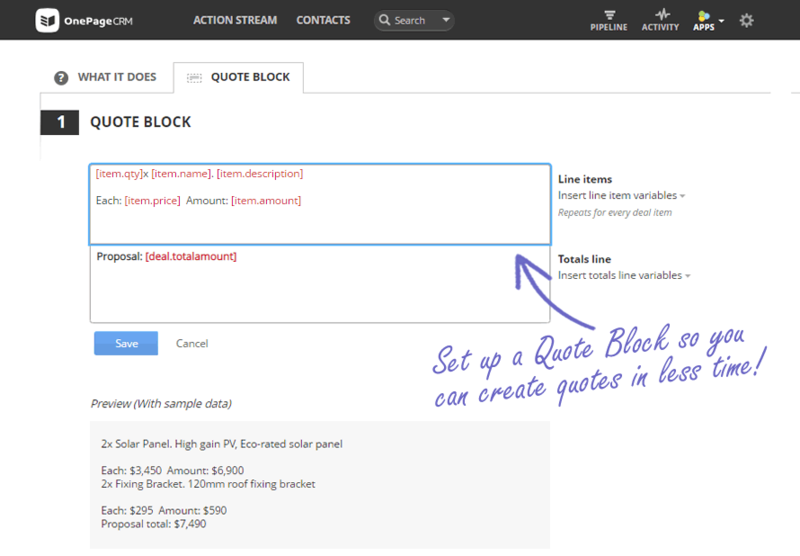 Step 3: Go to Quick Quotes, select Quote Block and insert your variables from the line items list/totals line. Then select your default email template from the Quote Block usage section. Step 4: To send a quotation, open a pending deal, select email quote and hit send. Simplify your sales quoting process by bringing all of your product, pricing, and proposal information into one single place that’s easy to manage. Use Deal Items to create a list of your product and service offerings, it will not only ensure consistency but allow for easy insertion when creating a quote. Quick Quotes allow sales teams to work smarter & offer speed when creating deals and pushing them over the line. The ability to send email quotes from a pending deal not only saves sales reps time but gives the customer the nudge they may need to proceed with a purchase at just the right time! Don’t delay start using Quick Quotes today! Deal items help to eliminate pricing inefficiencies – the sales team can use the existing deal items set up. No more having to quick reference your price guide as when you select your deal items, your prices are already input. You can customize your quotes individually if needed e.g. to add a discount! Better consistency across sales teams increases brand reputation, streamlines sales and ultimately wins more business. Set your team up for success by setting up your Quote Block. This makes it quick and easy to insert into email templates, thus reducing the timely admin involved in creating quotes. This eliminates the need to draft individual proposals / quotes from the beginning for every single prospect! The faster you get your quote in front of your prospects, the faster you speed up your sales process and close more deals. Build a deal and send email based quotes in 27 seconds…(your quotes could take a little more or a little less) but it’s still lightning speed. Quickly following up with a quote after a sales call can result in closing more sales in a timely manner. Quick Quotes offer you the ability to conduct all your sales from within the one system, you no longer need to use a separate costly quoting software to send your sales quotes. Now you can spend more time selling and less time switching between multiple software applications. What’s not to love! What’s more is a copy of your sent proposals are stored in your Activity timeline for future reference. 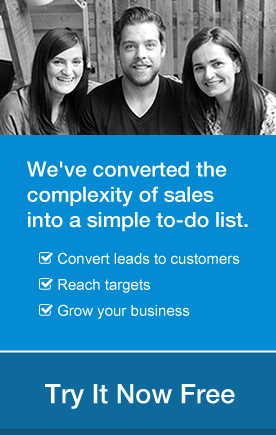 OnePageCRM’s Quick Quotes ties your sales process together. 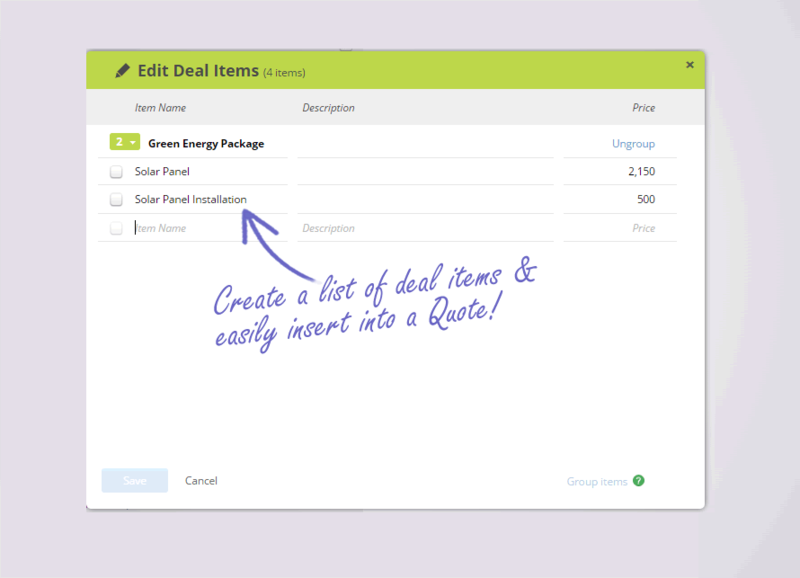 Now you can build deals, create quotes, and send quickly via email. It’s now easier than ever to manage each step all from the one place. It’s no secret Quick Quotes saves you time, helps eliminate mistakes and creates quotes faster! Try it out!